All the way from New York, New York, the Jazz at Lincoln Center Orchestra led by managing and artistic director Wynton Marsalis, is here to entertain you. 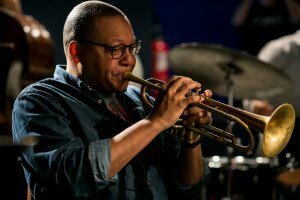 Wynton Marsalis is a Pulitzer Prize and Grammy award-winning jazz musician who has made way for jazz music in American Culture. The orchestra features the finest soloists, ensemble players and arrangers in jazz music today. *Please call the LSO Box Office to purchase tickets at (806) 762-1688 or visit www.LubbockSymphony.org.